Space. Its big. 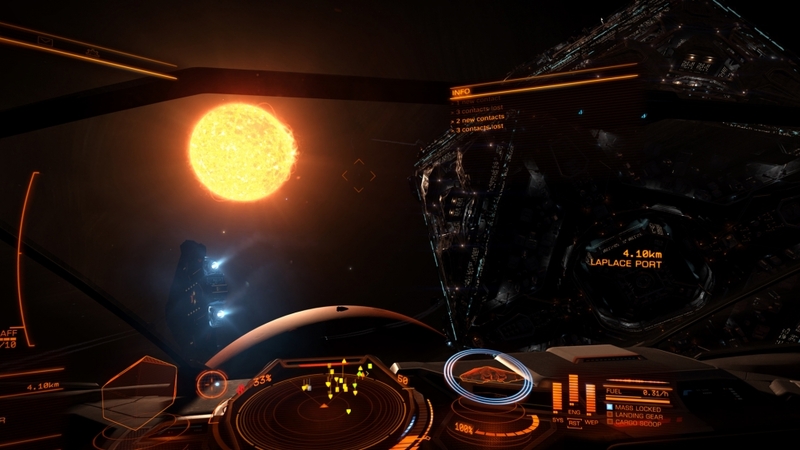 Really big, and according to Frontier developments we have 400 billion solar sytems in our galaxy alone. Elite is 30 years old, and some now. First released on the BBC Micro back in 1984 the game was a revelation. At the time it was released it was the largest open world game ever to be released, and probably remained that way until it inspired the GTA series. Elite places you as the Commander of your own space ship, somewhere in the local galaxy with nothing but a few credits to your name. 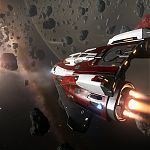 You chose your own path as you pilot your ship trading goods between local star systems, pestering merchants as a pirate, running illegal goods or helping the local law enforcement with the pirate scourge. 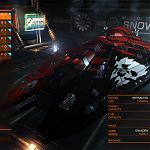 Elite Dangerous was funded through a Kickstarter campaign back in November 2012 after failing to get a publisher to back the project, and the game has successfully been available as a preview to gamers since 2013. The game has finally landed on Xbox One as a preview of the final product. And coming in at a measly 4GB of hard drive space the game has a lot to offer. The whole game feels instantly recognisable, and its credit to Frontier Developments that all the controls for a complex simulator like this fit on to the Xbox One controller. 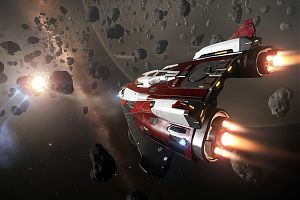 David Braben, the head of Frontier, has even said that the controller was the most natural fit for the game. Upon starting, you find yourself sat in the cockpit of your newly acquired Sidewinder space craft, at a random space station, somewhere far far away. The menu system is all built in to the cockpits look function, and from here the menus pop up in front of you offering you all the different ways to start making some credits. 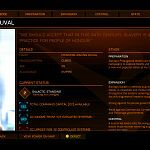 The Bulletin board offers you missions from running cargo or passengers to a local system, mining, assignation missions or working as a mercenary helping the local corporations. 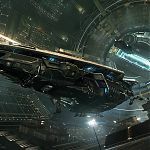 You may be asked to run some illegal cargo from one station to another without getting caught by the local fuzz and getting caught costs you in fines, or even a bounty over your head. For players who want the easy life, there are the trade routes you can run, buying and selling goods between systems making a slow but steady profit as you go. Once you have selected your chosen profession, and flown successfully out of the station, you can then program your route to your chosen destination. 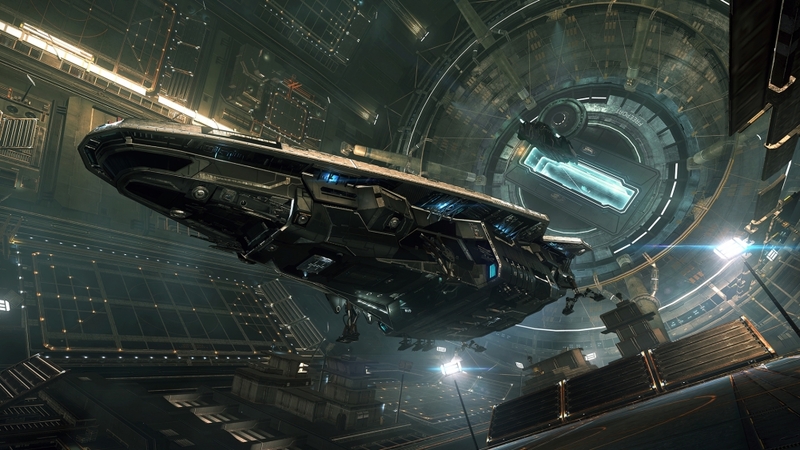 There are 3 ways to travel in Elite Dangerous. The first, using your Frame Shift Drive allows you to travel between systems. Simply selecting a system that is in range of your drive, and lining up with it, taking your speed up to maximum and hey presto, hyper drive. Navigation between multiple systems can be pre-programmed with a route finder, and never tells you off for going the wrong way. When you finally arrive at your chosen system, the FSD becomes your method to travel between planets and stations. Instead of taking a single year to arrive at your destination, thankfully it takes minutes, or a hour and a half….but that’s another story. And finally, after all this faster than light stuff, we have a normal propulsion system that is used mainly for docking or combat.When you have arrived at your final destination, killed your target or handed over your goods, you get paid. To start with the credits are small, but the more jobs you do, and the more your reputation grows, and with it, so will your wallet. 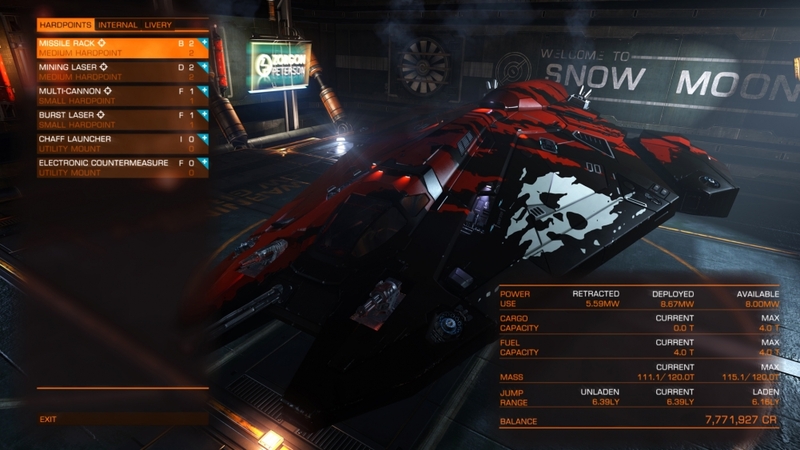 With your growing income, new ships and equipment will become available. Every single aspect of your ship can be upgraded, from your scanners, life support, to engines and weapons. Finding the best equipment for your ship is important to the role that you want to perform in the galaxy. 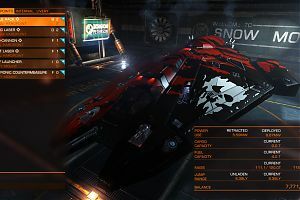 Currently, although the game is offering levels of customisation for your ship, only the stock colours are available. I am sure that this will change at some point, and new cosmetic changes will be available. Vastly speaking, that is Elite Dangerous in a nutshell. An open world, or rather an open galaxy, where you are left to your own devices to make a name for yourself and to become Elite. There is of course much more to the galaxy than this. The position of over 150,000 stars in the game are all accurate, and contain real time orbits, with dynamic night/day cycles. That over working one job or route changes the way the system functions. 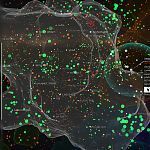 The game’s local factions fighting for control of space, the war that is raging between the Federation and the Empire. 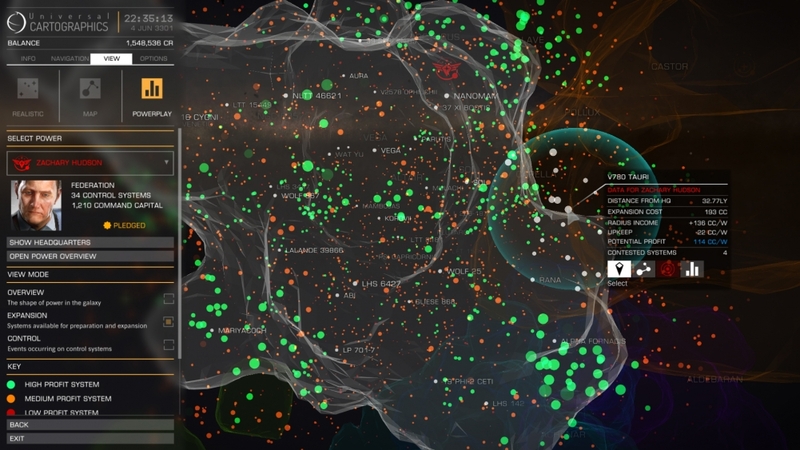 Unlike in previous games, you are encouraged to move about move between systems, as running the same missions changes the whole dynamics of those systems. Kill to many pirates and the traders will come. Run too much agricultural products to a system in need and the price falls. 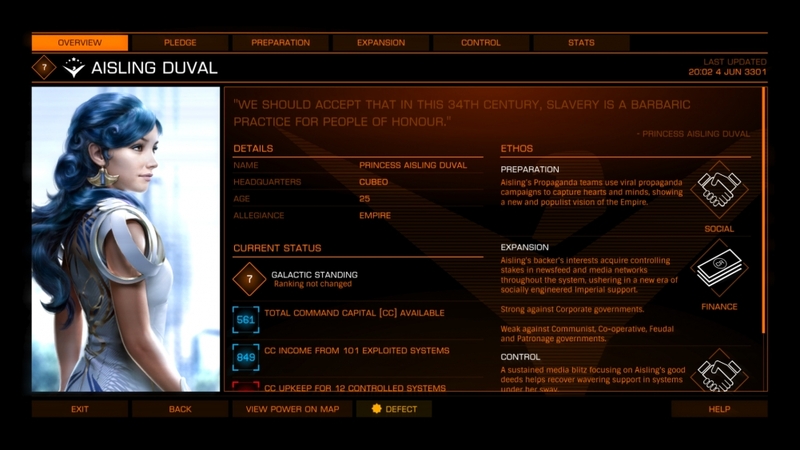 The more jobs becoming available as you progress and gain reputation with factions, and of course more credits for your blood, sweat and bullets. 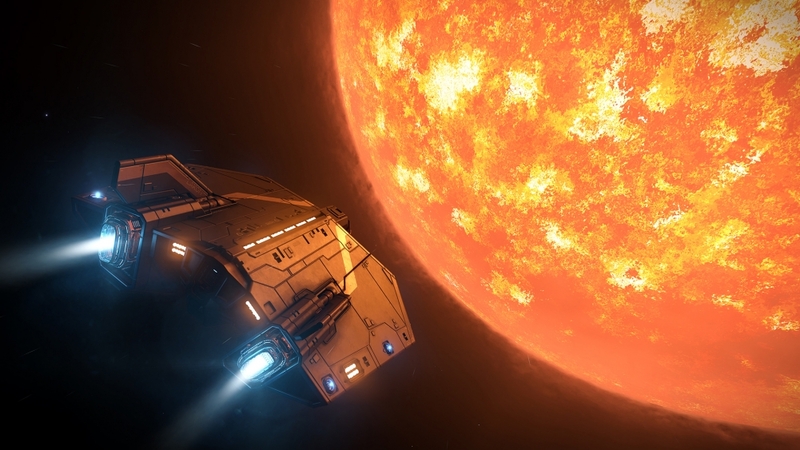 Elite Dangerous feels familiar and that is no bad thing. 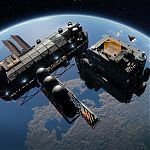 David Braben has said many times that the console version of the game was not going to be watered down, and I am glad it’s not. It takes time to learn the systems, the buttons and the rules of the universe. There is an expansive WIKI on the web and this has enough information contained in it to help any player through. The training missions are single scenario’s such as docking or combat and they allow you the time and freedom to work things out for yourself. There are no on screen prompts, but dying in this mode brings no penalties. 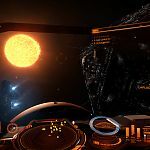 Frontier Developments have suggested on the Elite Dangerous Wiki some YouTube channels that are great for getting people in to the loop. As this is currently running in Beta, there is no manual for the game, but the developers are supporting the game through other modern channels. This is where the “preview” mode for me kind of fails. 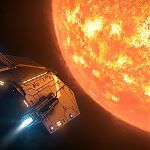 Elite Dangerous is a very big, deep simulator, and a one hour preview of the game really does not allow new players the freedom and enjoyment that Elite can bring. I myself think of this game like Minecraft. It is as gentle or as frantic as you want it to be, but even just chilling with friends is a relaxing experience, and before you know it a good few hours would have passed. The game is also being constantly supported. With the recent discoveries on Pluto from the New Horizions space craft, the team are looking to update the planet in game to reflect the recent discoveries. Since its release the game has already received a few big updates, the last being the CQC, Close Quarters Combat, an area multiplayer killathon. The next update will have planetary landings, bringing a whole new aspect to the game. 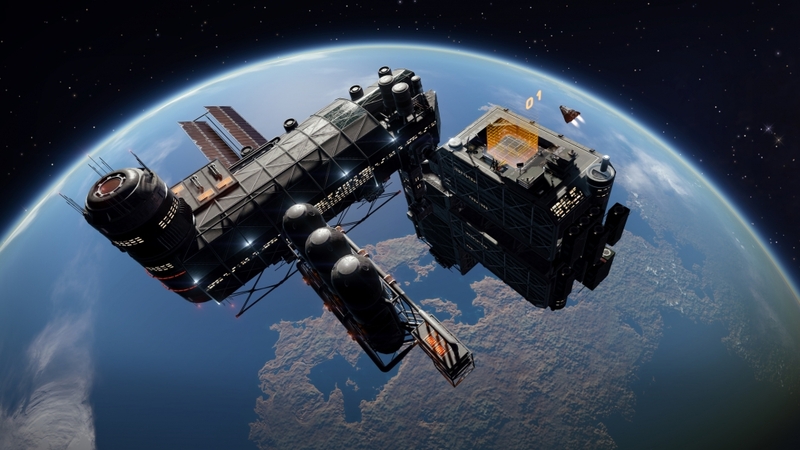 Further updates are expected including walking around the space stations, walking around your ship and even allowing docking with friends in space for a nice cup of space tea. Ok maybe not the space tea, but the developers have big plans for this game. The game is £24.99 for a beta, but knowing that the game is going to be continued to be supported and further expansions are planned if you loved the original game this really is a no brainer. Space. It’s big. Really big, but your hard drive can hold it all. Currently still in beta, there are still a few bugs that need to worked out, but nothing game breaking. Overall a solid game which is worth a try. 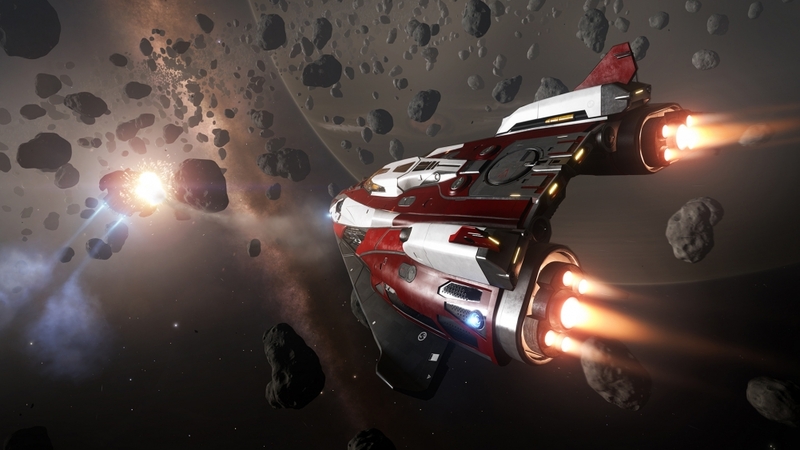 This review is based on playing the Xbox One version of Elite Dangerous .